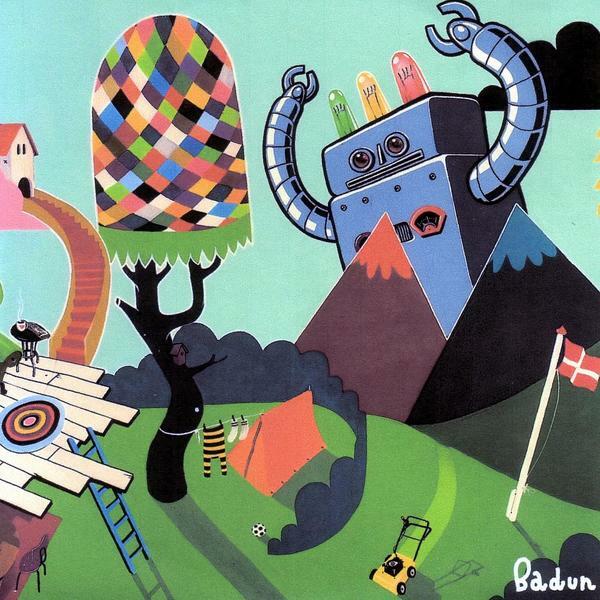 Ploughing the same furrow of warm electronics and subtle melodicism as fellow Scandinavians Opiate, Dub Tractor and Spinform, Badun have delivered a delightful album, packed with fresh ideas and exhibiting a distinct knack for weaving a sophisticated, jazz-influence into tricky beat programming. 'Pulsen' marks the first instance of this, its advanced sense of swinging bringing to mind Burnt Friedman-style electronics. The second side shifts into a more overtly Morr-ish terrain loaded with a muted tunefulness and a heavier, more severely treated palette of beats. 'Myg' sees a return to jazzier climes with its nifty rhodes funk, and then the rather grand 'EF10' has a quietly epic feel to it thanks to a deft melodic hook. You seldom come across electronic music like this nowadays and it's rarer still that it's this well executed. Good 'un.